2018 marks the centenary of the birth of Nelson Mandela. Throughout this year, the Nelson Mandela Foundation is celebrating the South African leader’s life by creating opportunities to reflect on his legacy and engaging the community. 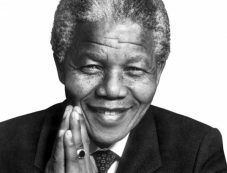 The Nelson Mandela Foundation American Fund granted $10,000 to the foundation to promote Madiba’s legacy through awareness building and visibility campaigns in the U.S.